India is a land of holy sadhus, devotees, pilgrimage and religious cult. In the ancient era, kings and laymen would worship Gods and Goddess and remain devoted to them. To please and in respect of their Gods they built majestic temples crafted and sculpted with many deity images. These temples symbolize the richness and devotion of rulers during their rule. Hindu's believed that deities come and reside in these temples. Each temple has a tale or myth related to it. The believers of these myth reach to these holy shrine from far or near places. They believe that temples are not mere place of worship but also a place of eternal grace and happiness. The temples are dedicated to different Gods and Goddess. Lord Shiva, Lord Vishnu, Lord Krishna, Lord Hanuman, Lord Surya are few names of Hindu Gods whom for temples are built. The temples not only reveal the religious devotion but also portray the architectural beauty. Craftspersons with their skilled hands strived on stones to portray and ornament the images of deities. Some temples built inside caves are examples of stunning and rare artistry. The minute but precise craftsmanship is a blend of spiritual and architectural grace. Names and history of such temples can be traced in the manuscripts. Ajanta, Ellora, Sun Temple, Brihadeshwar temples are to be cited a few. With the changing time, Hindus have adapted changes in technology of building temples maintaining strands with past. Across India, temples are built and the list seems to be endless. 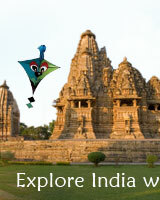 Temples of India has become a favorite spot of tourist destinations. Followers and tourist visit these places from offshore. 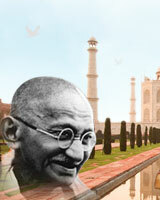 To reach these holy places one can use trains or buses as medium of communication. Many magnificent temples have made their entry in the list of the UNESCO's World Heritage Site. Hindus regard temples as endless wealth of country and culture. Summary: with its majestic and architectural beauty temples are holy abode of God and Goddess for Hindus. Temples are scattered across India built by rulers in honor and devotion of God.